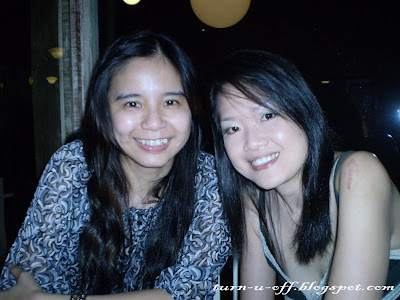 We were hanging out with my cousin sister, Salina at The Apartment Cafe & Restaurant, The Curve last Saturday. Well, it's a relaxing place for us to laze in and I suppose if you've been there, you would have surely attracted by its chic yet cosy decor, too. Right? 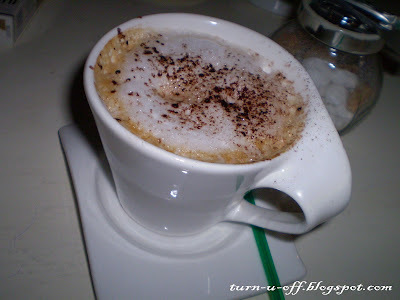 We had Cappuccino (RM9.90), Iced chocolate (RM13.90) and a jug of Tiger (RM37.00). At RM17.90, don't expect the portion to be too big. 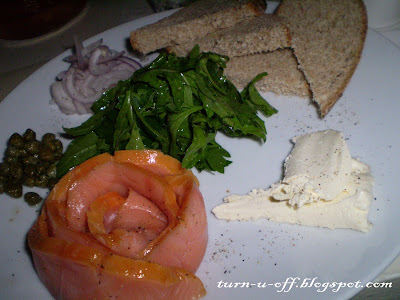 Smoked salmon plate (RM22.90). I had no idea why I ordered this; I ate the smoked salmon, cream cheese and toasted rye only. The rest - capers, shallot and parsley remain untouched! 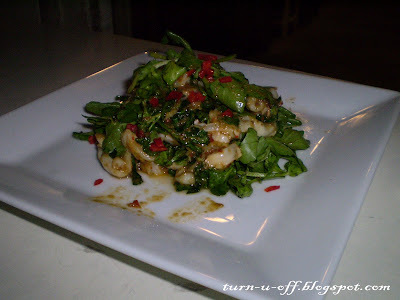 Squid lychee and chilli salad (RM13.90). 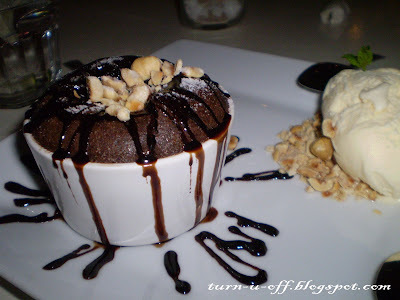 Baked chocolate pudding with vanilla ice cream (RM12.90). I like the moist chocolate pudding with a burst of coffee in the center; not bad. I love the ambience. But, I would definitely NOT return for the food. Seriously, if you are just in the mood to burn cash on average food, come here! U have a great weekend ahead now..cheers. i love the baked chocolate pudding, it looks enticing! hahaha...that's a very nice mug cake! hehe..the baked chocolate pudding is yummy, indeed! Hi Monica, have a nice weekend! Hi!!! Enjoy your weekend too my dear..
You got my mouth watering. I love the look of the salmon, looks like a rose flower. Hope you having a fun Sunday. I like the name of the place, too bad the food is bad. 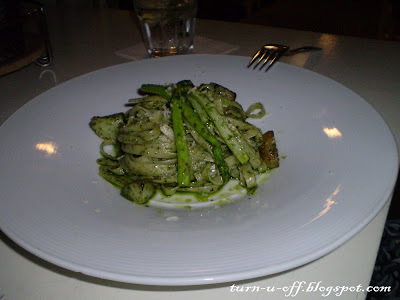 Hi Monica, simply torture see the delicious food, ha ha. You sure one very attractive girl. You free Saturday night? Ha ha. 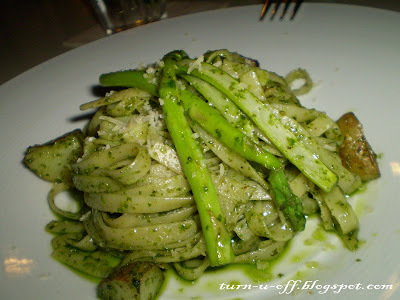 WOw it looks like you have had a lot of fun hehehe damn now am hungry hehehe. oh these are so delicious. I like the chocolate muffin here..thanks for sharing. makes me hungry eh. Great site, useful and interesting content and very intelligent post. casino online - I migliori casino online con bonus in italiano.